The bill was unanimously passed by both the Houses of the legislature Thursday, meeting a long-pending demand of the influential community, which constitutes 33 per cent of the state's population. 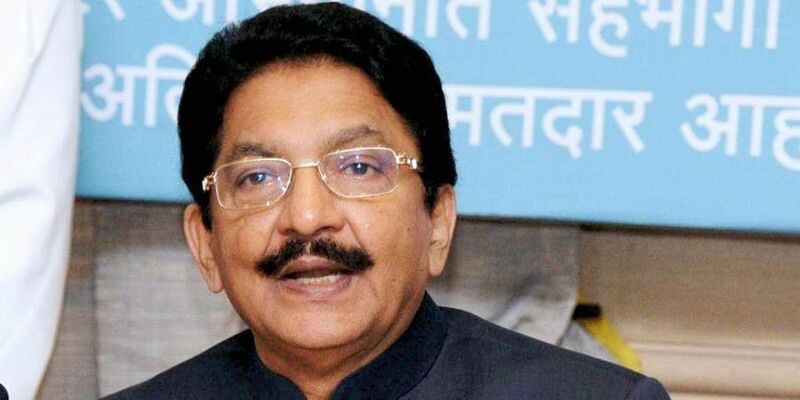 MUMBAI: Maharashtra Governor Vidyasagar Rao Friday gave his nod to the bill that grants 16 per cent reservation to Marathas in government jobs and education in the state, a Raj Bhavan source said. The bill was unanimously passed by both the Houses of the legislature Thursday, meeting a long-pending demand of the influential community, which constitutes 33 per cent of the state's population of around 13 crore. According to the source, the governor has signed the file containing the bill called the 'Maharashtra State Reservation (of seats for admission in educational institutions in the state and for appointments in the public services and posts under the state) for Socially and Educationally Backward Classes (SEBC) Act, 2018'. The quota granted to Marathas is over and above the existing reservation provided to OBCs, SCs, STs, denotified nomadic tribes and special backward categories. The entire process of giving quota to the agrarian community took nearly one-and-a-half years. The government had earlier tabled the recommendations and summary of the findings of the State Backward Class Commission (SBCC) report on Marathas along with the Action Taken Report (ATR) in the assembly. Based on the commission's report, the government had declared the Maratha community as 'socially and educationally backward class of citizens' and proposed 16 per cent quota for them in jobs and education. In June 2017, the SBCC was asked by the government to study the social, financial and educational status of the Maratha community. Its report had a sample survey of 40,962 families. Public hearings were conducted at 21 places where the panel got 1,93,651 personal memoranda and 814 from various organisations. According to its provisions, the legislation will apply for direct recruitments, appointments made in public services and posts in the state except super specialised posts in medical, technical and educational field, posts filled by transfer or deputation, temporary appointments of less than 45 days' duration and single post in any cadre or grade. It will also apply for admissions to educational institutions, including private educational institutions other than minority educational institutions, whether aided or unaided by the state. These provision won't apply in cases where selection process was initiated before the act comes into force. Chief Minister Devendra Fadnavis had earlier said the government feels Marathas are a socially and educationally backward class on basis of quantifiable data studied by the commission. The panel said they are entitled to reservation benefits and advantages enshrined in Articles 15 (4) and 16(4) of the Constitution (dealing with reservation). The panel also suggested that looking at exceptional circumstances and extraordinary situations generated on declaring Marathas as socially and educationally backward and their consequential entitlement to reservation benefits, the government may take appropriate decision within constitutional provision to address the emerging scenario in the state.